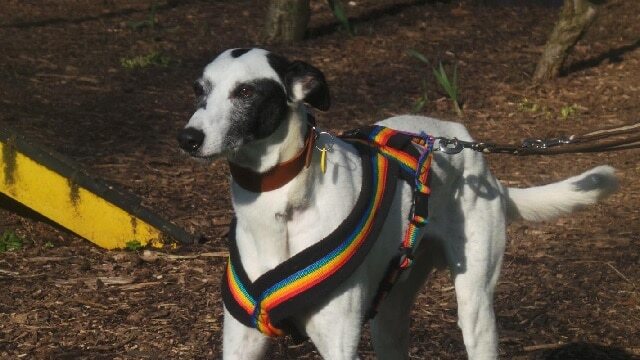 Shire, a Lurcher boy aged over 8, and his best friend Amie aged 7, find themselves at Dogs Trust Merseyside through no fault of their own. Amie is a most splendid mixture of Mastiff x Australian Cattle Dog – wow, two fabulous breeds in one dog! 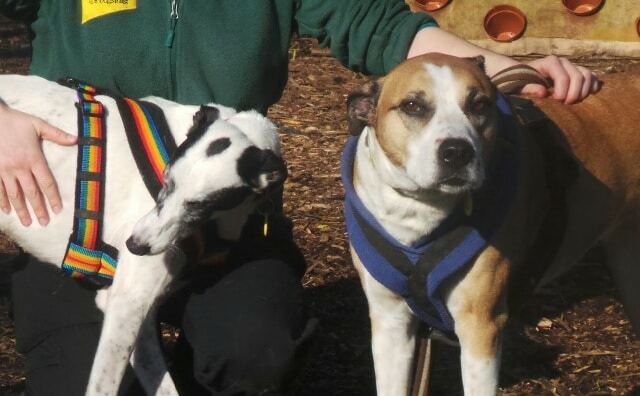 Shire and Amie are waiting to find a new home together as they have been best pals for 7 years, bless them. 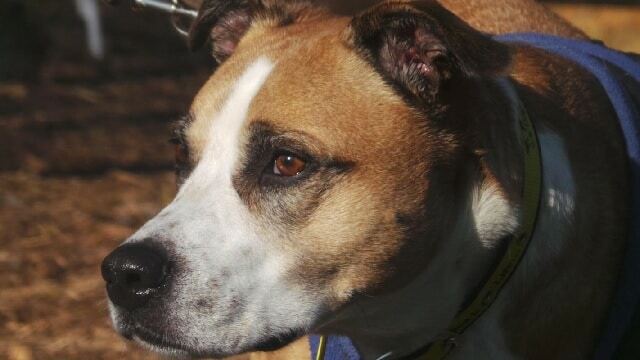 Their carers at Dogs Trust have really fallen for this pair as they are a complete dream. Shire is a very sweet boy who has such a soft nature. He likes to lean in to you for a cuddle. He also loves to be out and about with Amie, enjoying the sunshine. Shire and Amie can live with children aged 11 and over. Shire gets along well with other dogs, and while Amie gets along with most other dogs, she doesn’t always choose to interact with them and simply tolerates their enthusiasm. 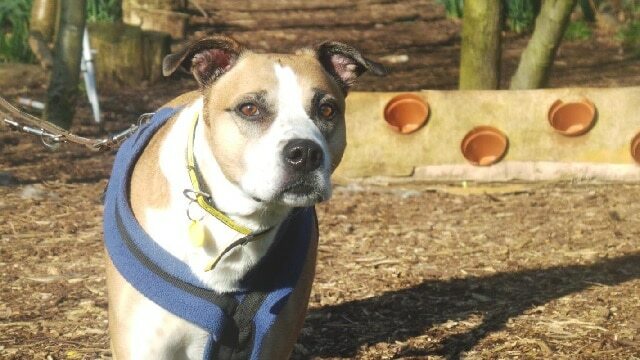 Amie is a very gentle girl who loves attention, and it’s impossible for the staff to walk past her kennel without stopping to give her a fuss, or say a quiet hello. Anyone who gives her lots of love and nice walks, and keeps her belly full, is alright by Amie! She has sensitive ears, hence the need for children to be 11+, so that they will understand not to touch her ears. 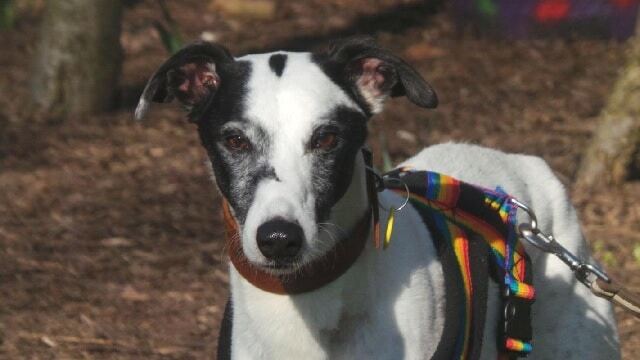 Shire and Amie are both housetrained and have perfect manners and very sweet natures. Could you offer them a home together? Please mention that you saw Shire and Amie on the Oldies Club website.